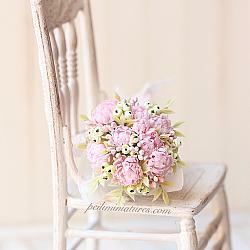 A beautiful looking dollhouse miniature full bloom peonies bouquet. The petals are very detailed. You will love this intricate piece. This purchase is for the bouquet of pink peonies. 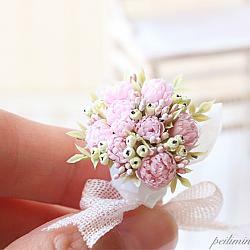 Bouquet measures 4cm tall by 3cm wide. Item will be shipped via registered mail through Singpost. It comes with limited tracking capabilities. Should you require a more secured, faster shipping option (Fedex International Economy), please contact me for a quote before purchase.